Get the latest Loyalty360 news, research, and insight delivered straight to you, and be the first to know. Loyalty360's research and reports section includes white papers and case studies related to loyalty marketing, customer loyalty, customer engagement, customer experience, CRM, voice of the customer and more. Read the latest from industry experts and our members in Loyalty360's Loyalty Today and Loyalty Management Magazine sections. 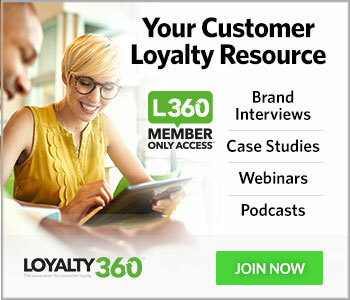 Loyalty360's webinar series gives you exclusive access to insights from top brands and accomplished industry executives. Our marketing webinars provide firsthand information on topics such as: customer experience, data analytics, CRM initiatives, engagement strategies, loyalty programs, channel marketing solutions and more. Loyalty360 conferences provide attendees with opportunities to network with and learn from top brands across a variety of industries through workshops, breakout sessions, and more. Sign up for our email newsletter to stay up to date on loyalty marketing news, insights, events and more! Already have an account? Sign in.